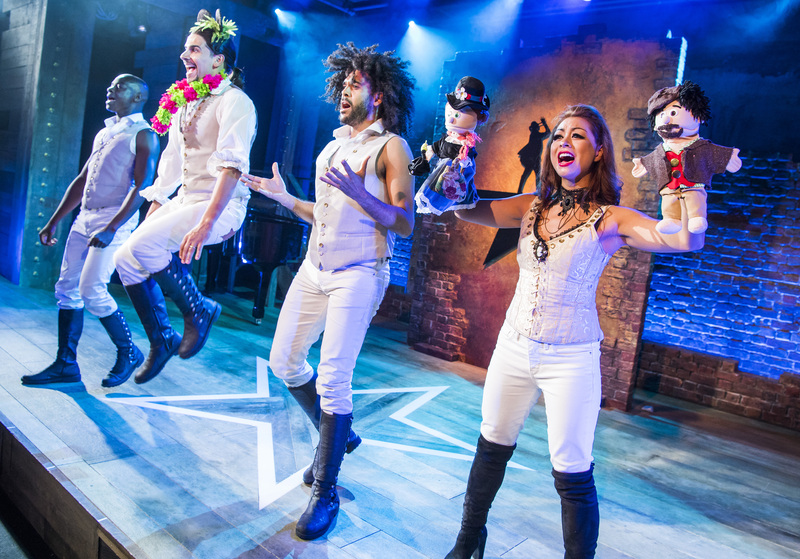 Unlike Gerard Alessandrini’s revue show Forbidden Broadway, which takes popular songs from musical theatre, reworks their lyrics and lampoons their singers, his shot at Hamilton  has the semblance of a narrative. Lin-Manuel Miranda comes up with an idea for a show and battles against the schlock and schmaltz of an increasingly safe Broadway to get it staged. The trouble is, it wants to have its Spam and eat it. 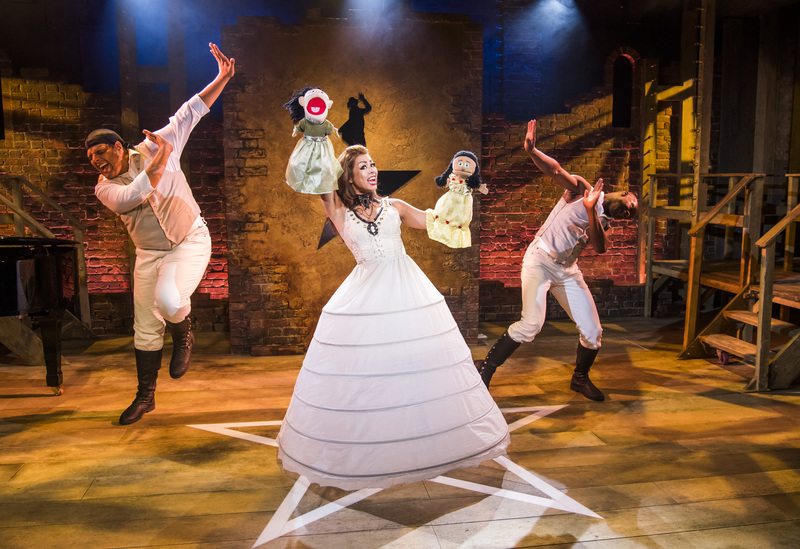 It wants to both celebrate Hamilton and bring it down a peg, and in doing that it sometimes comes across as a bit mean-spirited. Having a go at the good-natured Miranda for his decisions to work with Disney on Moana and the upcoming Mary Poppins sequel feels a bit like kicking a puppy. 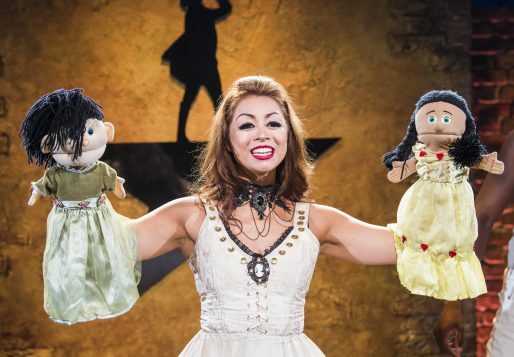 Like Forbidden Broadway, it relies in its entirety on in-jokes and foreknowledge, so it will make absolutely no sense to someone who hasn’t seen Hamilton. But mostly it’s a mapping of occasionally funny, slightly nonsensical lyrics onto the Hamilton soundtrack , with some deft wordplay. One particularly funny moment has King George cast as a villain trying to disrupt the UK opening of the show by engineering construction works around the Victoria Palace so that it’s impossible to find the entrance, and ‘I want to be in the room where it happens” becomes “I want to be in the film when it happens”. 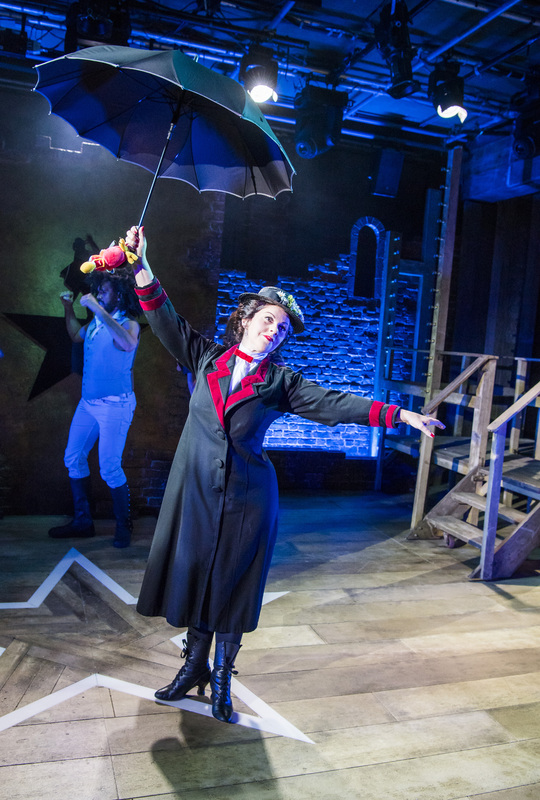 But there’s some rubbish too – “not throwing away my shot” becomes “not throwing away my pot” as one of the performers holds up a spliff. Alessandrini is at his best when parodying pre-Hamilton numbers, like Shall we Dance and Another Hundred People, and he plays to that strength by finding any opportunity to insert those tunes, with some familiar starlet parodies by Forbidden Broadway alumna Sophie-Louise Dann, including Liza Minnelli and Elaine Paige. 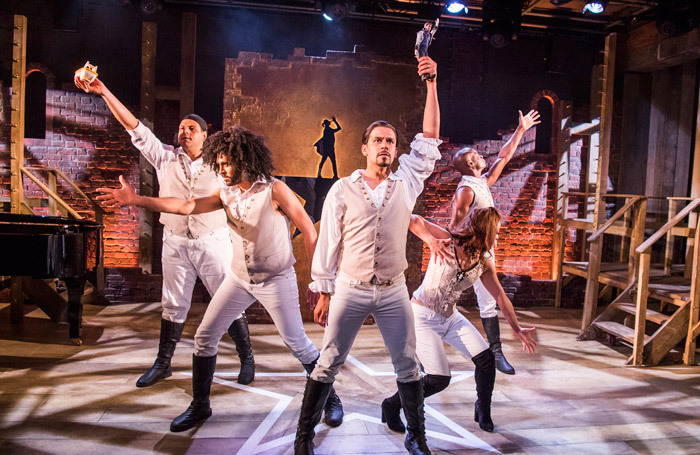 The show takes aim at the American Hamilton cast, which is maybe a little bit alienating: although British audiences have been able to listen to the original cast through the soundtrack, only the ones who could fly to New York and get tickets would know what mannerisms and tics are being lampooned here. The patchy production is sustained by seven really good performers. Liam Tamne cleverly captures the earnestness and endearing goofiness of Miranda, as well as his slightly squeaky voice, and Julie Yammanee is particularly good as Barbra Streisand. The always brilliant Damian Humbley takes on Jonathan Groff’s King George III role wonderfully, although the reworkings of his songs are weak. Aside from that hardworking cast, the best thing about the show is the way it serves as a reminder of just how good Miranda’s music is. Otherwise, it feels like a blowback from an old world, as behind the times as the shows that it mocks precisely for being behind the times.